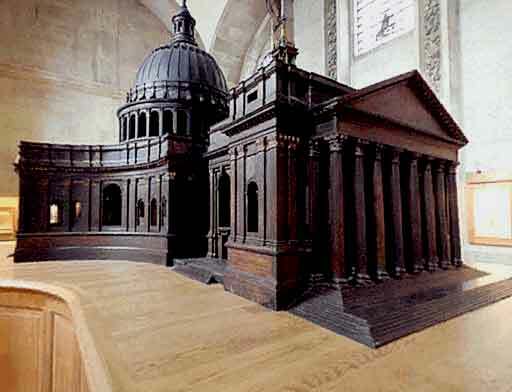 Ever since studying the English Baroque at university I have wanted to see Wren’s Great Model of St Paul’s. 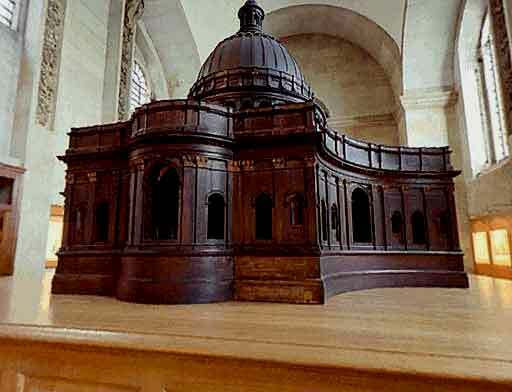 It is not the model of the cathedral that was actually built following the Great Fire, but the cathedral that Wren wanted to build. It was a domed building in the form of a Greek Cross – of curved lines joining the nave and the transepts – cleaner and more sculptural than what we see today. Crucially it meant that the altar would be under the dome in middle of the cathedral – and that did not go down well with the clergy who were wedded to the traditional layout of such buildings with the congregation at the west end and the clergy and altar at the east end, cut off by a rood screen. This was, after all, the first cathedral built since the reformation. Though the newly restored King Charles the Second supported Wren’s concept of a classical church of the Renaissance, the clergy prevailed and the present St Paul’s, surely the greatest building in Britain, is something of a compromise – though less so now as the Victorians dispensed with the rood screen that Wren was forced to include. The Great Model is located on the Triform – the ‘first floor’ that runs above the aisles either side of the nave and round the west end of the church where it forms a gallery that houses the trumpet pipes of the organ. This organ has over seven thousand pipes. The tour is called the Triform Tour and you need to have a minimum of five people but it is well worth it. Hardly anyone does it. The guide was a retired structural engineer who was fascinating on the arcane details of the massive construction – and while the view from below, so to speak, is impressive – that from above is spectacular. The Triform itself feels like a neglected store room – which it is – filled with pieces of stonework and sculpture and, most interestingly, pictures, prints and plans of St Paul’s from its medieval incarnation, through to the present day. The Great Model itself is in a separate, locked room. It is about ten foot high and twenty-five foot long and built with huge care and detail. You can look inside and form a vivid impression of what the interior would have looked like. It cost over £500 in 1670 – the price of a quality three-floor town house at the time. Afterwards we climbed to the top of the dome where there is a round glass porthole in the floor. This is the ‘eye ‘ of the dome and the view down to the ant-like tourists below is vertigo inducing. The vista from the gallery just below the cross outside must be the greatest in London. This must be one of the very best things you can do in London. It is that very rare thing – fun for all the family. The Great Model was constructed, beginning in 1673, by two London joiners named William and Richard Cleere, at a cost of £500. 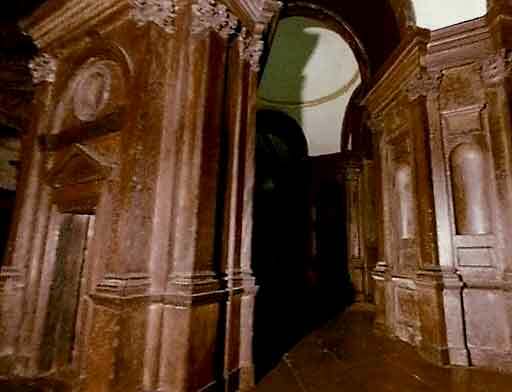 It does not represent Wren's first thoughts, nor does it reflect the Cathedral as built; but it does appear to show what Wren would have liked to build, if he had not been subject to the opinions and wishes of the Dean and Chapter. The quality of the joinery is superb, and it is adorned with exquisitely-worked cherubs' heads, flowers and festoons. As originally completed, some of the detail was sumptuously gilded, and there were tiny statues on the parapets, which are thought to have been Wren's first commissions to Grinling Gibbons. The model was restored and re-installed in the Trophy Room in 1998. Are judges out of touch?